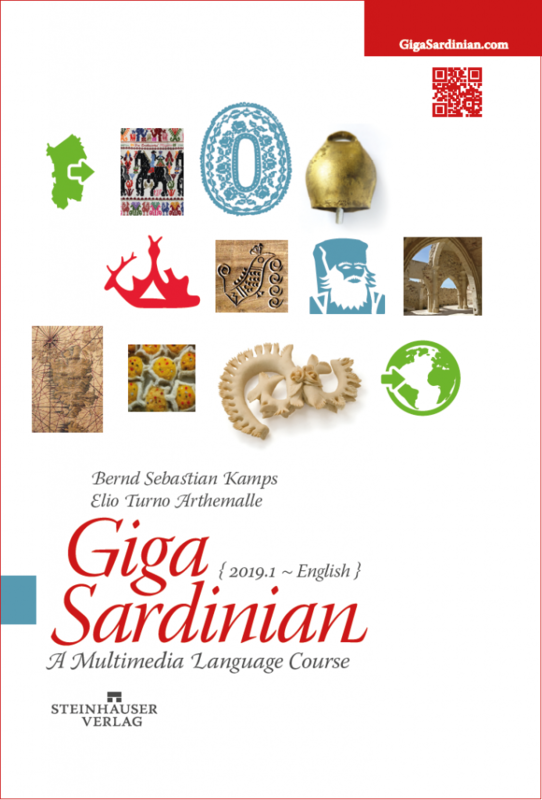 GigaSardinian is a free multimedia Sardinian language course. Check what is new . 1. Ajó, totus a su Poetu! 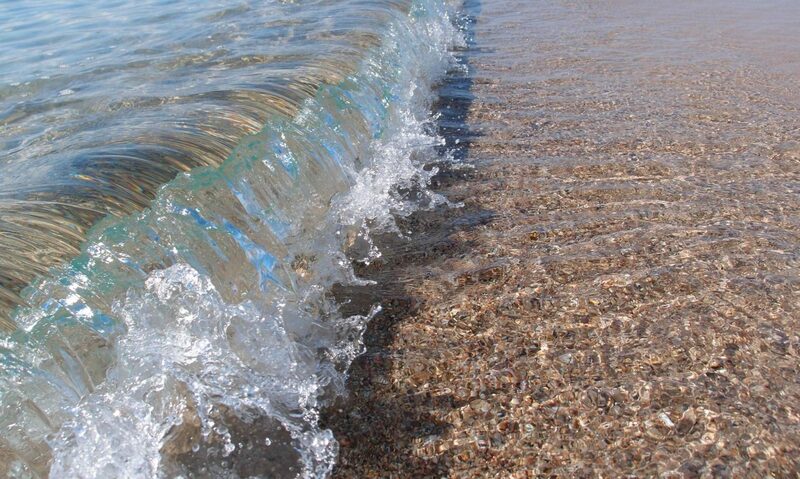 Let’s go, everyone to the Poetto! Longclick the folder button (bottom left) and display the language list. Download the GigaSardinian worksheet to document your study time. 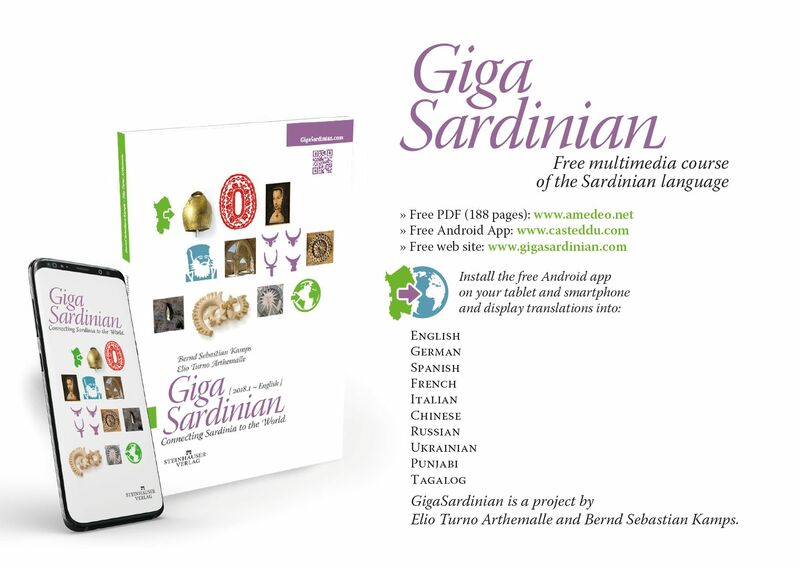 Download the GigaSardinian Flyer and display it in public. Optional: Check the GigaSardinian print edition sold at production costs. 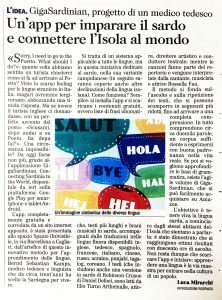 Volantino GigaSardinian per i vostri clienti (hotel, ristoranti, bar, negozi, B & B). GigaSardinian flyer for your clients (hotels, restaurants, bars, shops, B&Bs). 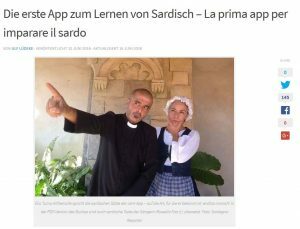 GigaSardinian teaches you the Sardinian language. The Android app is the core of the project. 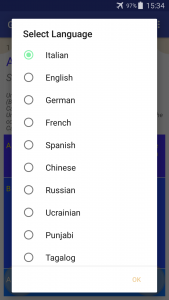 First longclick the folder button (bottom left) and select your language (example: English, German, Spanish, French, Italian, Chinese, Russian, Ukrainian, Punjabi, Tagalog). To open the language menu, longclick the folder button (bottom left). Now listen to each sentence until you understand which sound corresponds to which word. 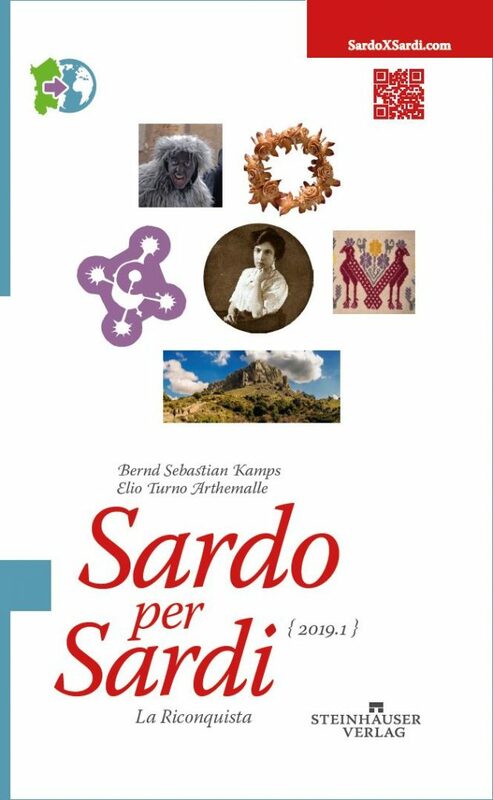 Check the translation in the right column and try to understand the meaning of the Sardinian words. Finally memorize the word lists (see the PDF). Repeat each chapter the next day (Day 1) and on Day 3, Day 6, Day 10 and Day 15. Last not least, document your study time in the GigaSardian Worksheet: bsk1.com/GSWorksheet. Félix, a 13-year-old French-American boy from Paris, demonstrating the GigaSardinian app. Actor, artistic director, playwright and radio talk show host. One of his programs, Buongiorno Cagliari, has been on air for the last 10 years. 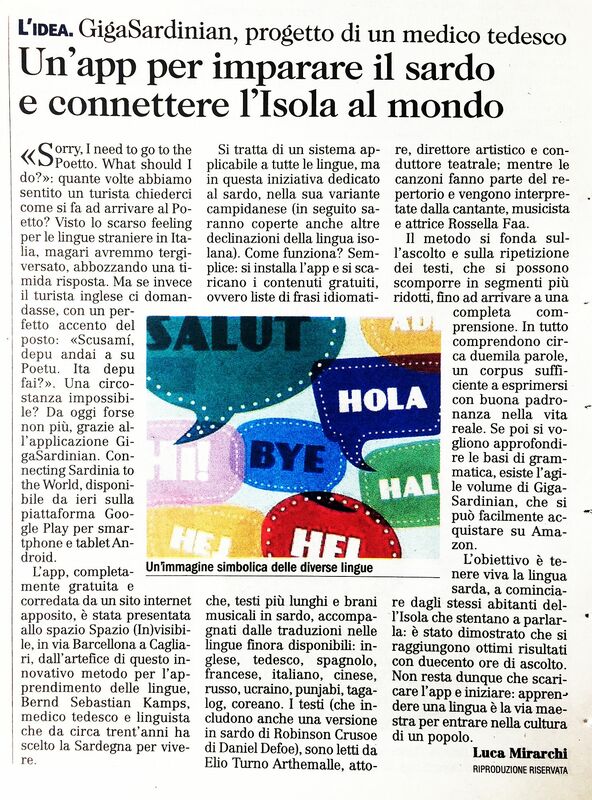 He regularly collaborates with Middlebury College (Vermont, USA), offering acting workshops to students of Italian. Founder of two theater companies (Riverrun Theater and Impossible Theater), his interests span from the classics to the contemporary, from technology and science (collaborations with INAF and Sardinia Ricerche) to social impact (CGIL, therapeutic communities, ASL, various NGOs). Director of the Amedeo Medical Literature guide (Amedeo.com). 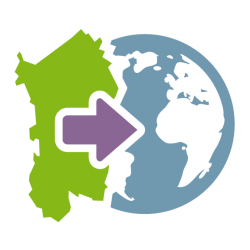 Author of several language manuals (French , Italian , Spanish, English, Sardinian). Author of The Word Brain (www.TheWordBrain.com) and Ear2Memory (www.Ear2Memory.com). Author of OLIENA (Open Language Interface for Enhanced Network Activity, www.oliena.com).